Toppers uses only the freshest, highest quality ingredients available. Our meats are fresh and lean, our cheese is grated daily. Our sauce is made in each location, our vegetables are sliced daily in each store, and our dough is made fresh every day. Our menu may be limited, but we pride ourselves in having everything fresh, healthy and great tasting! 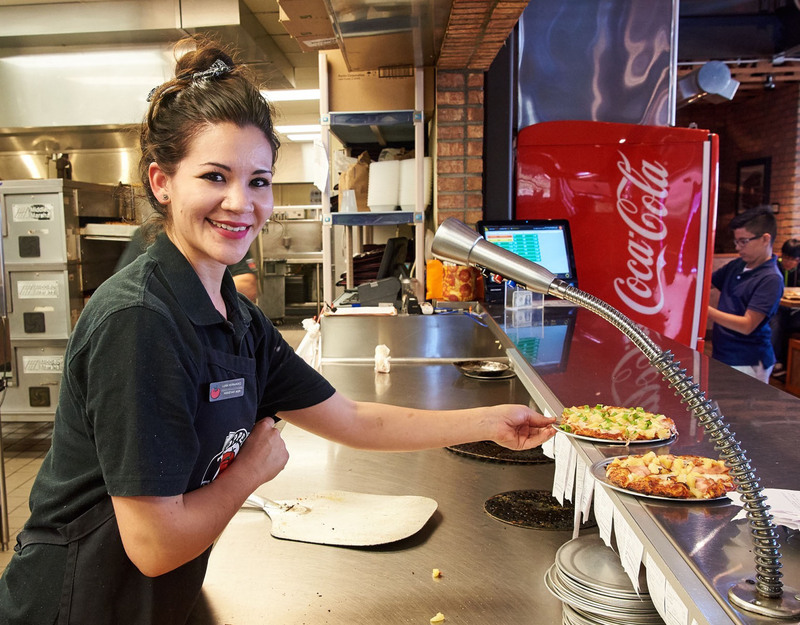 At Toppers, we strive to make and serve great food all of the time, and to provide a fun, friendly and comfortable environment for our customers and employees. It is our goal to be the best when it comes to the quality of our food, the appearance of our restaurants (in both décor and cleanliness) and giving customers excellent value for their money. We want to be part of the community we serve. Participation in local activities, supporting sports leagues, and helping schools and organizations with their fundraisers are a few of the ways we support our community. 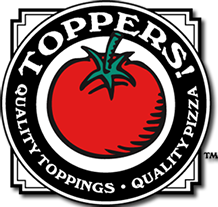 Toppers is a locally owned and operated pizza restaurant company based in Ventura County, California. We have become the County’s favorite pizza with 9 locations offering family dining, group accommodations and fast, efficient delivery service. 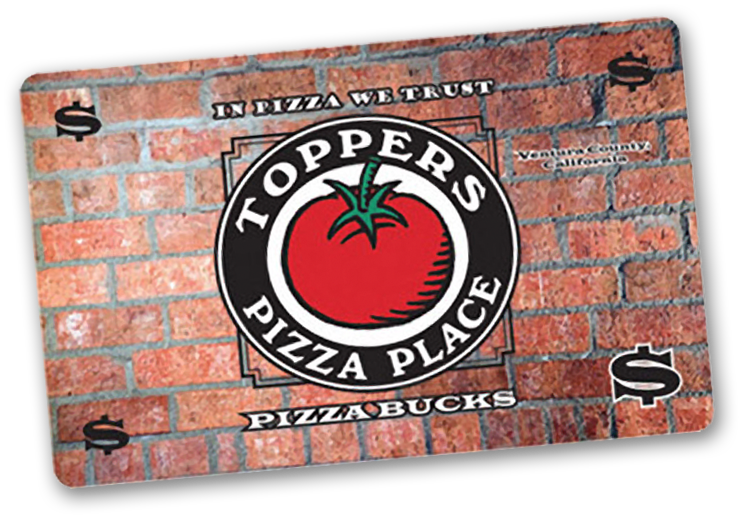 Toppers was founded by Vim and Beth Jonker over 20 years ago. With 30 years experience in the pizza business (although, please don’t remind us of that), we have tried to create a family-friendly, quality dining experience for our customers and develop deep roots in the community. We want Toppers to be a friendly, familiar place where you will always feel comfortable and usually see someone you know. 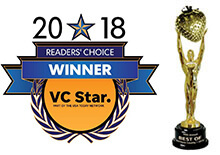 We originally grew within West Ventura County, and over the last 16 years, we have partnered with long-time friend Steve Sellers to provide a great pizza experience in Thousand Oaks and Simi Valley as well. 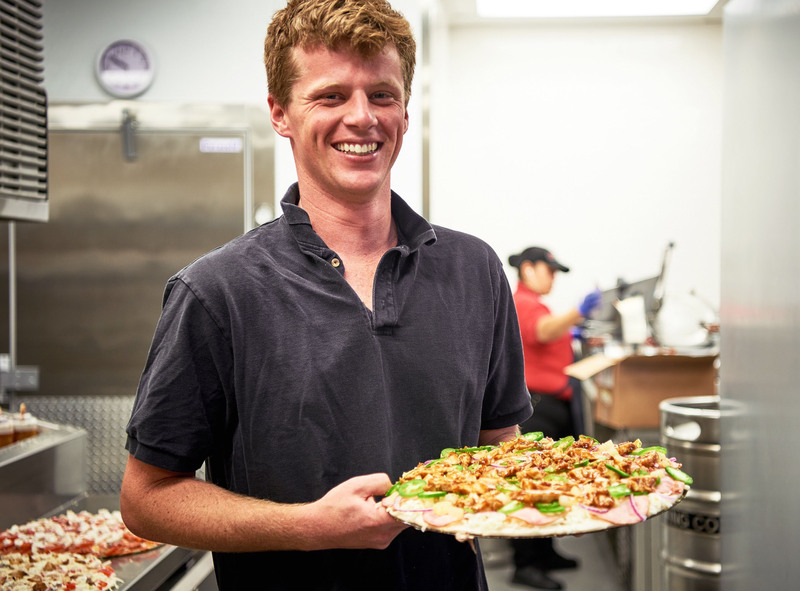 In 2014, we partnered with our son, Evan Jonker, to bring Toppers Pizza to Santa Clarita. 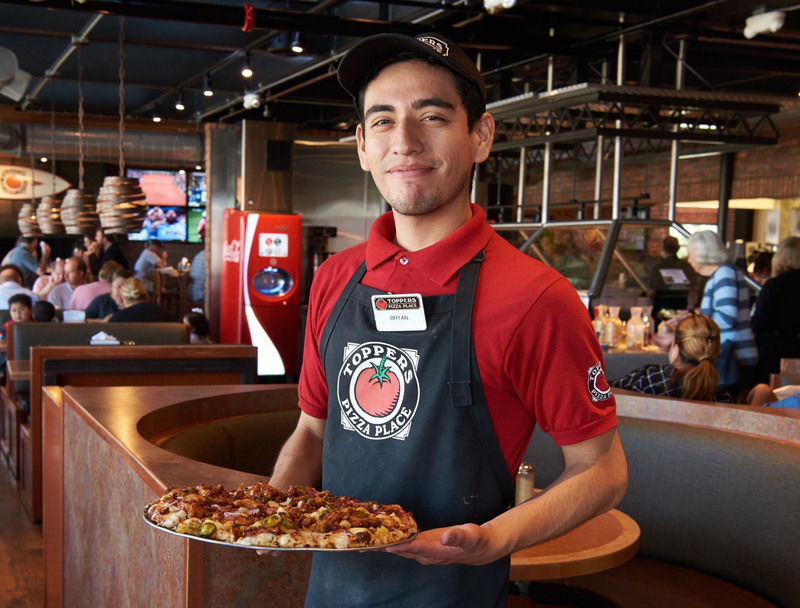 The pizza business is full of large national chains, but Toppers’ loyal customers have made us the busiest and most popular pizza restaurants around. We thank you and will continue to work hard to deserve your business. Toppers is lucky to have a dedicated group of capable managers who have been with us for many years. Listed below is the manager for each location in order of their length of service. Combined, their pizza experience exceeds 165 years of great service. If you are in a store, let them know how they are doing. If you have what it takes to help us provide a great pizza experience, we would love to talk to you. The manager at each Toppers location hires their own crew. The best time to fill out an application is during the afternoons. Contact the store manager for information about available positions.